Last Saturday night in Chicago was one the city will never forget. The Chicago Cubs defeated the Los Angeles Dodgers in Game 6 in the NLCS to advance to the World Series for the first time since 1945. It is well documented that the Cubs have not won a title since 1908 so there is still work to be done. The fan base celebrated one milestone while the franchise prepares for the next big step. Their opponents, the Cleveland Indians, have not tasted World Series success since 1948. The Indians have destroyed two of the best offenses in baseball this season on their way to a World Series berth. Cleveland will be rocking for Game 1 Tuesday night as the Indians will hope to utilize their home field advantage. A few weeks ago if you would have told me this would be the World Series matchup, a Cubs in a sweep or 5 games would be the popular prediction. However, the Indians are playing some of the best baseball right now. They also have a weapon every team envies come October. Andrew Miller has been lights out from the bullpen. In 11.2 innings of work, Miller has already accumulated 21 strikeouts and hasn’t allowed a run this postseason. He was the easy choice for ALCS MVP and will have to continue his dominance for the Indians to reclaim the World Series. For the Cubs, it was a two man wrecking crew that eventually powered the Chicago past Los Angeles. Starting pitcher Jon Lester and infielder Javier Baez were awarded Co-MVP honors in the NLCS. Jon Lester provided two dominant starts during the NLCS and recorded a miniscule ERA of 1.38. Baez flashed the leather on a consistent basis and had 5 RBI in six games. This will be an evenly matched series with two hungry teams vying for the title. The Indians have been playing relaxed baseball due to the low expectations this postseason. They will likely be projected to lose their third straight postseason series. The Cubs will be facing all the pressure, but with loads of talent those expectations have yet to matter. 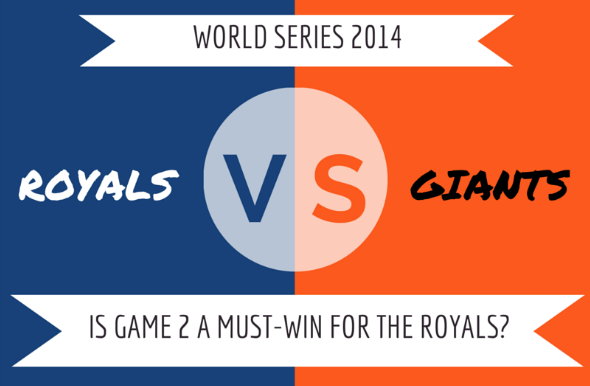 Here is a breakdown of the crucial aspects that will decide this series. Best of luck to both teams trying to break the curse. A surprisingly close call in the first category. The Indians pitching is definitely the reason they have made it this far. Their bullpen is stealing all the headlines, but the starters have to be effective for the bullpen to have an impact. Aside from Trevor Bauer’s gruesome drone incident (don’t click if you just ate), Corey Kluber has regained his Cy Young just in time. They have held up their end of the bargain, but no one has the potential triple threat the Cubs possess. Jon Lester, Kyle Hendricks and Jake Arrieta have the potential to end this series before it even starts. On their best nights, these three are some of the best pitchers on the planet. The Indians will take runs any way they can get them, and this World Series is setting up to be low scoring, tight ball games throughout. The trade for Mike Montgomery this season is proving to be pivotal for the Chicago Cubs. If the starter for the night gets in trouble, Montgomery will be inserted to stop the bleeding for an extensive stretch. They also acquired flamethrower Aroldis Chapman from the Yankees at the trade deadline. He has been effective, but lately the fastball has almost been impossible to control. A one-run lead in the ninth is not a slam dunk win for Chicago that is for certain. A one-run in lead in the sixth practically is for the Indians. Andrew Miller and Cody Allen have been an unreal one-two combination out of the bullpen in the playoffs. Miller’s stats and hardware speak for themselves, but Allen’s work has gone under the radar. Allen has recorded five saves and has not allowed a run this postseason. Combined, the two have pitched 19 1/3 innings, struck out 33 batters and have yet to surrender a run. Mind blowing stuff and a clear edge in this series. Both teams have sputtered offensively throughout the postseason. The Indians have been spoiled by amazing pitching so their offense hasn’t been needed every night. Three shutouts in eight games by Cleveland pitching has been able to cover up any weakness the Indians offense might have. Francisco Lindor, Jose Gonzalez and Jason Kipnis have provided the clutch hits when necessary, but as they face another daunting rotation we’ll see if that will be enough. The Cubs’ offensive numbers are skewed a bit with big games in Game 4 and 5 of the NLCS. Other than that the offense has been lackluster. Anthony Rizzo recently broke out of a slump and Jason Heyward has been underwhelming for Chicago. Kris Bryant has remained steady and Javier Baez is peaking at just the right time for the Cubs. This Jekyll and Hyde offense needs to find answers though as the Cubs scored 31 runs in their four NLCS wins, but went 21 straight innings without scoring a run in the series as well. The potential for the big numbers gives Chicago a slight edge here. The “Special Teams” of baseball, these two aspects will decide a game or two in this World Series. The Cleveland Indians are master of the small-ball, and have the distinct advantage when it comes to base running. The Indians have stolen 134 bases this season. The Cubs were only able to steal 66 bases, and allowed teams to run all over them forfeiting 133 stolen bases over the course of the year. If the Indians need a late run to get back in the game, they can rely on their team speed. The Indians also have a solid defense. The Cubs are no slouch either, only committing 12 more errors throughout the course of the regular season than the Indians. These two teams will be locked in mentally and any error is magnified with so much on the line. Defense is rarely a deciding factor in the World Series, but if one team loses focus for an even an inning it can cost them the title. I was hoping that would make this World Series easier to predict, but after 2-2 draw in the key aspects of this World Series, it seems it is up for grabs. Indians’ Manager Terry Francona has been to the World Series twice with the Red Sox and has posted an 8-0 record in those two appearances. The Cubs’ General Manager is Theo Epstein, the GM for the Red Sox when they broke their curse and delivered a World Series title to the city of Boston in 2004. In an even series with symmetry seemingly at every turn, the deciding factor has to be talent and experience. The Cubs are a more seasoned ball club, and with the likely NL MVP Kris Bryant anchoring their line up along with potential Cy Young winners Jon Lester and Kyle Hendricks the Cubs should be breaking their excruciating curse. The intensity and energy at Wrigley Field will be palpable. If the players can rise to the occasion and just play ball the Chicago Cubs will be your 2016 World Series Champions. 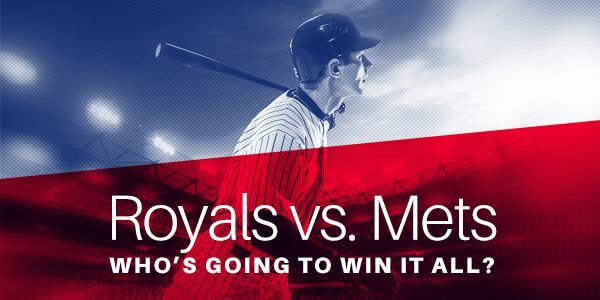 Find tickets for this exhilarating World Series right here at TicketNetwork. At 5:04 pm local time on this day in 1989, a 6.9 magnitude earthquake shook Santa Cruz County, CA, as well as Monterey County and the San Francisco Bay area. One of the largest earthquakes in the area since the 1906 San Francisco earthquake, the Loma Prieta earthquake caused much devastation including 63 deaths and 3,757 injuries. Although much had been learned since the earlier 1906 quake, a lot of damage occurred, including at the Cyprus Street Viaduct section of the Nimitz Freeway (I-880) in Oakland, the Bay Bridge, and San Francisco’s Marina District. Though it was devastating, it could have been much worse if not for a coinciding baseball game. Game 3 of the 1989 World Series between the Oakland A’s and San Francisco Giants was about to begin when the earthquake occurred. Many of the people that would have been on the roads at the time were either heading toward or seated for the game at Candlestick Park, or at home watching the pre-game show. That left many people off roadways such as the viaduct, which accounted for the majority of the casualties. The game was ultimately postponed for 10 days, the longest delay in the history of the Series.